The Pre-Sequal’s CL4P-TP has the best ability ever…”Kick him while he’s down” Makes every enemy in a huge range try to melee you while you are in “fight for your life” mode. 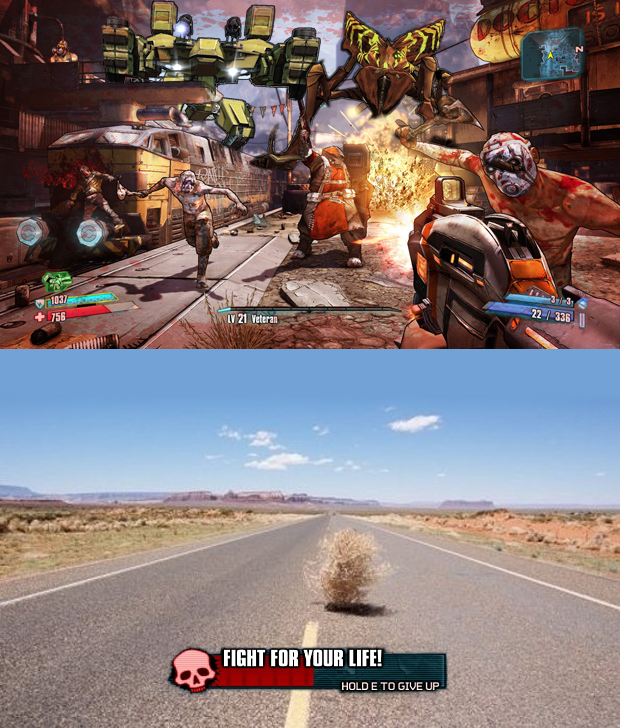 I was so stoked to finally be able to play a CL4P-TP in a Borderlands game and I don’t think I’ve played more than a half hour of the Pre-Sequel. Really need to fix that and give it the love it deserves.